An insightful account of the challenges of neutrality in an era of total war, The Art of Staying Neutral shows how the Netherlands remained peaceful throughout World War I. This sustained neutrality, Maartje Abbenhuis demonstrates, was the result of many factors, including masterly diplomacy, careful adherence to international laws and a decisive measure of good fortune. Neutrality, however, did not come without considerable costs to the nation’s economy and security. This book is a major contribution both to the study of neutrality and the domestic history of the Netherlands. Most artists earn very little. Nevertheless, there is no shortage of aspiring young artists. Do they give to the arts willingly or unknowingly? 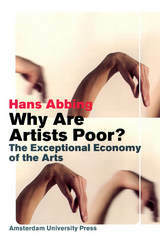 Governments and other institutions also give to the arts, to raise the low incomes. But their support is ineffective: subsidies only increase the artists' poverty. The economy of the arts is exceptional. Although the arts operate successfully in the marketplace, their natural affinity is with gift-giving, rather than with commercial exchange. People believe that artists are selflessly dedicated to art, that price does not reflect quality, and that the arts are free. 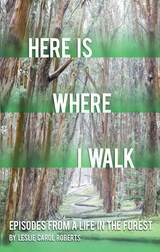 But is it true? This unconventional multidisciplinary analysis explains the exceptional economy of the arts. Insightful illustrations from the practice of a visual artist support the analysis. In Austronesia—the region that stretches from Madagascar in the west to Easter Island in the east—music plays a vital role in both the construction and expression of social and cultural identities. Yet research into the music of Austronesia has hitherto been sparse. 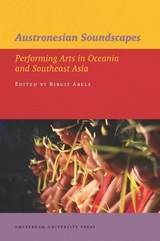 Drawing together contemporary cultural studies and musical analysis, Austronesian Soundscapes will fill this research gap, offering a comprehensive analysis of traditional and contemporary Austronesian music and, at the same time, investigating how music reflects the challenges that Austronesian cultures face in this age of globalization. Composed between the sixth and ninth centuries, penitentials were little books of penance that address a wide range of human fallibility. But they are far more than mere registers of sin and penance: rather, by revealing the multiple contexts in which their authors anticipated various sins, they reveal much about the ways those authors and, presumably, their audiences understood a variety of social phenomena. Offering new, more accurate translations of the penitentials than what has previously been available, this book delves into the potentialities addressed in these manuals for clues about less tangible aspects of early medieval history, including the innocence and vulnerability of young children and the relationship between speech and culpability; the links between puberty, autonomy, and moral accountability; early medieval efforts to regulate sexual relationships; and much more. A term specifically found in European politics, social concertation refers to cooperation between trade unions, governments and employers in public policy-making. 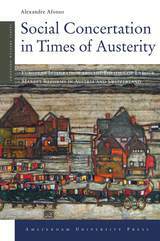 Social Concertation in Times of Austerity investigates the political underpinnings of social concertation in the context of European integration. Alexandre Afonso focuses on the regulation of labor mobility and unemployment protection in Austria and Switzerland, two of Europe’s most prosperous countries, and he looks at nonpartisan policymaking as a strategy for compromise. 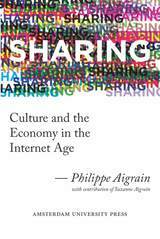 With this smart, new study, Afonso powerfully enters the debate on the need for a shared social agenda in post-crisis Western Europe. Despite the controversial reputation of Hizbullah in the West, and the significant role this powerful Islamist organization plays in Lebanese politics, there are few reliable, published English translations of the party’s primary documents. 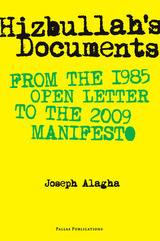 With this extensive work, Joseph Alagha seeks to remedy this problem and rectify the distortions and misrepresentations that have resulted from inaccurate translations. As the recent war in Lebanon demonstrated, an understanding of the Lebanese Shi‘ite militant group Hizbullah remains an important component of any attempt to solve the problems of the Middle East. The Shifts in Hizbullah’s Ideology provides an in-depth analysis of the group’s motivations, tracking the changes it has undergone since Hizbullah’s founding by Lebanese Shi‘ite clergy in 1978. Joseph Alagha demonstrates that Hizbullah, driven at its founding chiefly by religious concerns, in the latter half of the 1980s became a full-fledged social movement, with a structure and ideology aimed at social change. Further changes in the 1990s led to Hizbullah’s becoming a mainstream political party—but without surrendering its militarism or willingness to use violence to advance its ends. In tracking these changes, The Shifts in Hizbullah’s Ideology covers such disparate topics as Hizbullah’s views of jihad, suicide and martyrdom, integration, pan-Islamism, anti-Zionism, and the relationship with Israel and the United States. 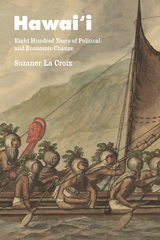 It will be necessary reading for both scholars and policymakers. As the dominant political force in Lebanon and one of the most powerful post-Islamist organizations in the world, Hizbullah is a source of great controversy and uncertainty in the West. Despite the significant attention paid to this group by the media, the details of Hizbullah’s evolution have frequently confounded politicians—and even scholars. In this important study, Joseph Alagha, a scholar with unprecedented access to the organization, exhaustively and objectively analyzes Hizbullah’s historical evolution and offers a revolutionary new perspective on the political phenomenon of the organization. 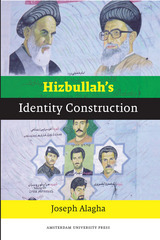 Hizbullah’s Identity Construction is a timely examination of one of the world’s most turbulent regions; a major contribution to the study of contemporary Islamic political movements in the Middle East; and a refreshing departure from the bland hagiographies and ad hominem attacks that are all too common in studies of Hizbullah’s murky history. Superbly documented and argued, and rooted in broad knowledge of contemporary Islamist political thought, this study brings much-needed clarity to a hot-button subject. This collection brings together a number of leading scholars in film studies to explore viewing and listening dispositives—the Foucauldian concept of a strategic and technical configuration of practices and discourses—from the emergence of film studies as a field in the 1960s to more recent uses of the concept. 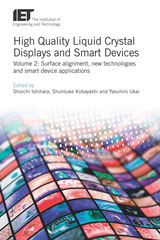 In particular, the contributors confront points of view and perspectives in the context of the rise and spread of new technologies—changes that are continually altering the boundaries and the spaces of cinema and thus demand new analysis and theoretization. Cinema Beyond Film elaborates on the theoretical uses of two key terms—dispositif and episteme—in order to examine their relationship as well as their larger connections to film, technology, and modernity. Although both terms originate in the work of Foucault, dispositif (“device”) intrinsically links itself to the mechanics of movement and speed behind cinematics, while more generally referring to the mechanisms and structures that hold power in place. Episteme(“to know”), on the other hand, refers to the conditions and possibilities of knowledge and reception, more than to technological innovation. 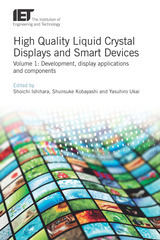 Each term is explored here in relation to the other, allowing this edited collection to assess the wide array of potential materialities that arise from the mechanics behind cinema and the changing face of its technology. These books aim to present a synthesis of the currently available syntactic knowledge of the Hungarian language, rooted in theory but providing highly detailed descriptions, and intended to be of use to researchers, as well as advanced students of language and linguistics. As research in language leads to extensive changes in our understanding and representations of grammar, the Comprehensive Grammar Resources series intends to present the most current understanding of grammar and syntax as completely as possible in a way that will both speak to modern linguists and serve as a resource for the nonspecialist. What is Europe? This concise, yet immensely complex, question, more pressing than ever during this time of intense political crisis—the worst since the process of European integration began in the 1950s—sets the stage for this volume. 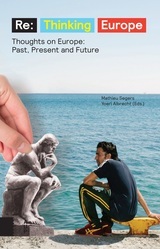 Bringing together international thinkers and scholars from different generations, including Barack Obama, Margaret Thatcher, Milan Kundera, Tom Holland, Ivan Krastev, Philipp Blom, and many others, the essays engage with the paradoxes and puzzles of European identity, ultimately rethinking the continent’s culture, history, present—and future. All the world’s a stage—literally so, given the ubiquitous presence of webcams recording daily life in cities. This footage, allegedly documentary, recreates cities as cinematic environments as people interact with the multitudes of cameras and screens around them. Paula Albuquerque’s original research and experimental films, presented in this groundbreaking book, expose fictionalizing elements in archival webcams and explore video surveillance as an urban condition that influences both perceptions of the past and visions of the future. 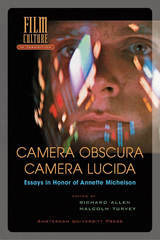 Annette Michelson’s contributions to art and film criticism over the last three decades have been unparalleled. This volume honors her unique legacy with original essays by some of the many scholars who have been influenced by her work. Some continue her efforts to develop theoretical frameworks for understanding modernist art, while others practice her form of interdisciplinary criticism in relation to avant-garde and modernist art works and artists. Still others investigate and evaluate Michelson’s work itself. All in some way pay homage to her extraordinary contribution. Although the years between the world wars were ones of diplomatic tension in Europe, they also saw the construction of countless miles of international railroads on the continent. 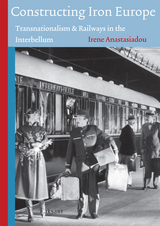 In Constructing Iron Europe, Irene Anastasiadou examines this era of railroad building and argues that, contrary to most conventional histories—which view railroad building as an aspect of nation- or empire-building—the construction in this era was deliberately transnational, and ultimately aimed at tightening links between nations and constructing a closer-knit European community. 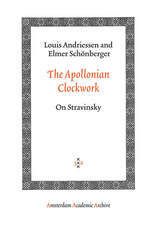 ‘I think my music deserves to be considered as a whole’, Igor Stravinsky remarked at the end of a long and restless career, and that is exactly what the authors of The Apollonian Clockwork do. In 1982, convinced that there is no essential difference between ‘early’ and ‘late’ Stravinsky, Louis Andriessen and Elmer Schönberger were the first to write a monograph on the composer which radically breaks with the habit of dividing his works into ‘Russian’, ‘neoclassical’ and ‘serial’. In an essay which continually shifts in its approach, style and perspective, the authors elaborate on their insight that a single, immutable compositional attitude underlies the whole of Stravinsky’s oeuvre. By this token the book not only offers an analysis of the composer’s protean work and artistry but takes example by it as well. What happens – sociologically, linguistically, educationally, politically – when more than one language is in regular use in a community? How do speakers handle these languages simultaneously, and what influence does this language contact have on the languages involved? In 2007 at the Dutch Royal Academy of Sciences in Amsterdam, a colloquium on new perspectives on games and interaction brought together researchers on games in logic, computer science, linguistics, and economics in order to clarify their uses of game theory and identify promising new directions for the field. 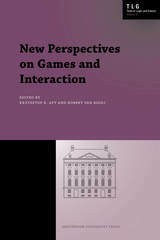 This volume is a collection of papers presented at the colloquium, and it testifies to the growing importance of game theory as a tool that can capture concepts of strategy, interaction, argumentation, communication, and cooperation amid the disciplines. In recent decades, Western nations have increasingly implemented encompassing welfare state reforms that try to establish equality through social programs and governmental intervention rather than direct redistribution of funds. 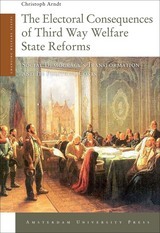 In this book, Christoph Arndt examines the political ramifications of reforming deeply entrenched welfare states through a careful comparative analysis of four European countries that recalibrated their system of social protection under social democratic governments. Arndt discovers that the "third way" has produced a setback for social democrats and that the nature and scale of this setback is contingent on each country’s electoral system. Caterina Vigri (later Saint Catherine of Bologna) was a mystic, writer, teacher and nun-artist. Her first home, Corpus Domini, Ferrara, was a house of semi-religious women that became a Poor Clare convent and model of Franciscan Observant piety. Vigri’s intensely spiritual decoration of her breviary, as well as convent altarpieces that formed a visual program of adoration for the Body of Christ, exemplify the Franciscan Observant visual culture. After Vigri’s departure, it was transformed by d’Este women patrons, including Isabella da Aragona, Isabella d’Este and Lucrezia Borgia. While still preserving Observant ideals, it became a more elite noblewomen’s retreat. 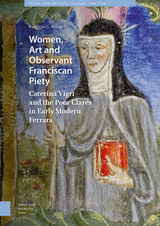 Grounded in archival research and extant paintings, drawings, prints and art objects from Corpus Domini, this volume explores the art, visual culture, and social history of an early modern Franciscan women’s community. The painters of the Dutch Golden Age have a reputation for favoring a dark, serious aesthetic and subdued, everyday scenes over the bravado of their Catholic counterparts. But in fact, Dutch paintings of this period often contain witty visual puns and a fierce vibrancy in their choice of color and subjects. No one more exemplifies this lushness and vividness more than Frans Hals. This richly illustrated volume considers Hals’s lively brush strokes and distinctive handling of paint within the context of Dutch Golden Age painting as a whole, and itprovides powerful insight into his influence during his own time and for generations afterward. Christopher D. M. Atkins looks at the world in which Hals lived, mining the Dutch economy, as well as Hals’s relationships with clients, pupils, and assistants, in order to gain a fuller grasp of the evolution of Hals’s instantly recognizable style. A thoughtful study of the commercial and artistic concerns that shaped Hals’s work, this book reflects on ideas of authorship, consumption, and subjectivity in early modern Europe. Combining smart historical analysis and a deep understanding of Dutch consumer culture with a strong sense of Hals as an artist, The Signature Style of Frans Hals offers a wholly new understanding of both the painter and his world. With discussions of two of Hals’s most famous paintings, The Laughing Cavalier and The Gypsy Girl, this book is required reading for scholars of economic history, art historians, and anyone interested in gaining a deeper insight into life and times of this Dutch master. Synthesizing almost thirty years of Dutch archaeological research in central and southern Italy, this book discusses and compares settlement and land use patterns from the late protohistoric period to the late Roman Republic. 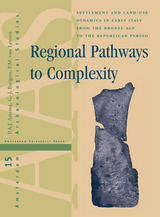 Considering both social and environmental factors, the authors analyze the long-term progression of indigenous Bronze Age tribal pastoralist societies towards the complexity of urbanized Roman society. Drawing on a decade of collaboration between Dutch and Italian researchers, this exhaustive study will be of great interest to students and scholars of Mediterranean archaeology. One of the untold stories of the American military occupation of Japan, from 1945 to 1952, is that of efforts by the Supreme Commander for the Allied Power's (SCAP) Arts and Monuments Division for the preservation of Japan's cultural heritage. While the role of Allies after WWII in salvaging the cultural heritage of Europe has recently become better known, not much is written of the extraordinary vision, planning and endeavors by the curators and art specialists embedded in the US military and later based in Tokyo, and their peers and political masters back in Washington D.C. - all of whom ensured that defeated Japan's cultural heritage was protected in the chaos and misery of post-war years.